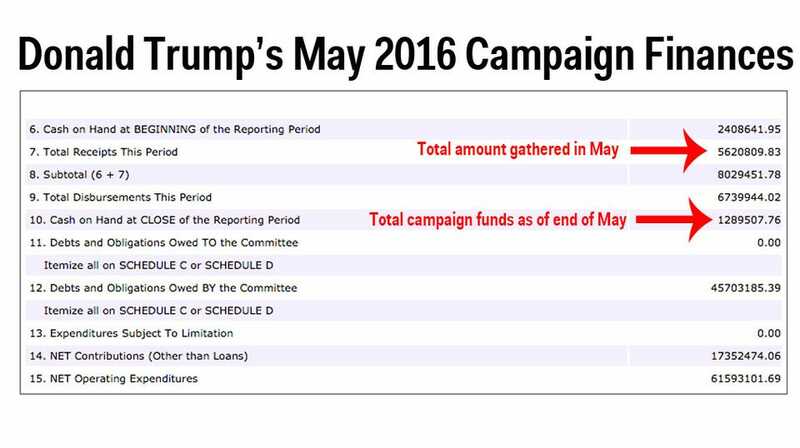 Donald Trump’s campaign is entering the summer with an alarmingly low amount of financial resources, campaign filings with the Federal Election Commission revealed Monday. The presumptive Republican nominee’s campaign gathered just $5.6 million last month, the filing revealed, and by the end of the month it had just $1.3 million cash on hand. 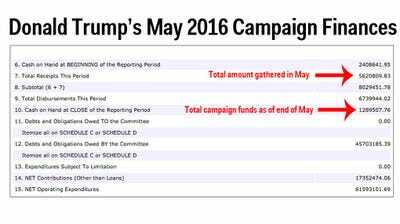 $3.1 million of Trump’s haul came from campaign contributions, including a $45,000 contribution from Trump himself. Approximately $2.2 million came from loans from himself. Trump has loaned his campaign $46 million since launching last year, according to Reuters. The filings come as Trump’s campaign scrambles to hire ground staff to compete with the sprawling operation of his rival for the White House, presumptive Democratic nominee Hillary Clinton. 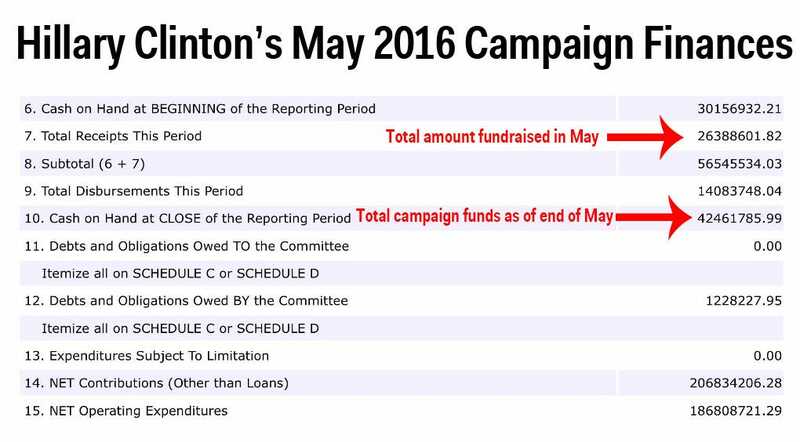 By contrast, Clinton’s team raised $28 million in May, and finished the month with $42.5 million on hand. 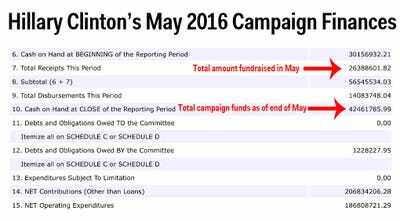 Clinton has poured millions of dollars in television advertisements this month in crucial swing states like Ohio, Florida, and Nevada. Trump has yet to air a television advertisement since becoming his party’s presumptive nominee in May. He has just 70 people on his staff, compared to Clinton’s 700. And he fired his controversial campaign manager Corey Lewandowski earlier in the day, underscoring the concerns Republican leaders have about Trump’s chances in November. Both candidates are off the pace of last election’s candidates. In May of 2012, Republican candidate Mitt Romney’s campaign raised $76.8 million, while Barack Obama’s campaign raised $60 million in the president’s reelection effort. Both sides had more than $100 million on hand at the end of the month. Trump repeatedly stated throughout the Republican primary season that he would self-fund his campaign, but the Manhattan businessman reversed course in March by saying he would raise money for the general election fight. He set a fundraising goal of $1 billion in May, although he backtracked on the vow a month later.